I'm all about repurposing leftovers. 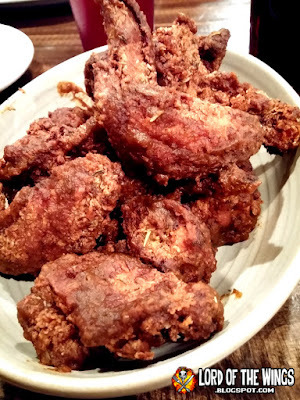 We had some Popeye's fried chicken one night with lots of leftovers, which are good on their own, but the crispy breaded wings were calling out for sauce. I melted some butter, and added a ton of the Popeye's Louisiana Hot Sauce packets and toss. Instant win. Fear leads to anger. Anger leads to hate. Hate leads to suffering. 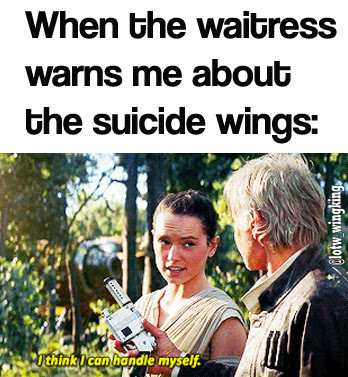 Someone best get me some wings or there's going to be a lot of suffering round here. Nachos are one of those dishes that are great for re-purposing a previous meal. Leftover steak? Piece of chicken? Veggies? Throw them on some tortilla chips and add some cheese and BOOM - whole new meal. These nachos are made from leftover ground beef (taco seasoned), with onion & peppers leftover from a salad, and corn that was just on hand. Shredded 2 cheeses, layered up, baked for 15-20 minutes, and topped with sour cream and taco sauce. After visiting my folks, my dad had bought a bottle of Mountain Dew for me. We went to a family party and it was put in our cooler, and we came back home with the 2 liter bottle. I like MD, but I wondered if I could do anything with it wing wise. I remembered 8 years ago my buddy Dude and I made Chinese Coca-Cola Wings, a recipe very popular in China. You fry the wings, add some garlic, ginger, soy sauces and Coke (we did a simpler version) where the cola reduces to a syrup, so I thought, what would wings cooked in Mountain Dew be like? 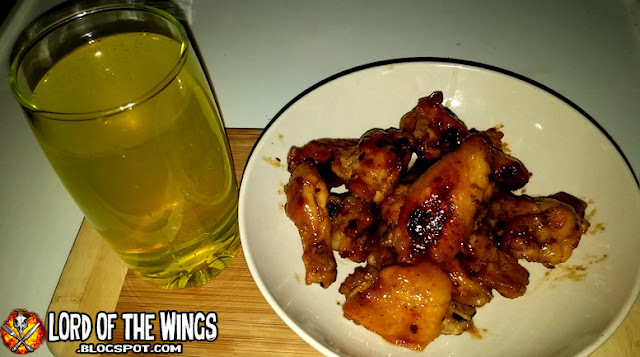 I tried to do some research to see if anyone else was doing Mountain Dew wings, and I read that Buffalo Wild Wings has their own version, but it was very different. So I stepped into the Lord of the Wings Test Kitchen to make my own. This is a super easy recipe/experiment. 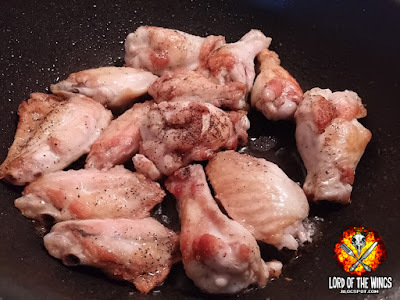 Fry wings, add seasoning, add pop, reduce. I tried to think what flavour would go well with the lemon/lime soda - I didn't think garlic or soy sauce. Some spice would help, but maybe just some flakes. Let's start basic and we could always build. I started off with my wok/pan on high high heat. I added some canola oil and when it was hot enough, tossed in the wings, which I seasoned with salt and pepper. I had to overcome my urges from just eating them right now. I also thought back to my Coca-Cola wing and my buddy Ricky's suggestion to do the sauce on the side to preserve the crispness. 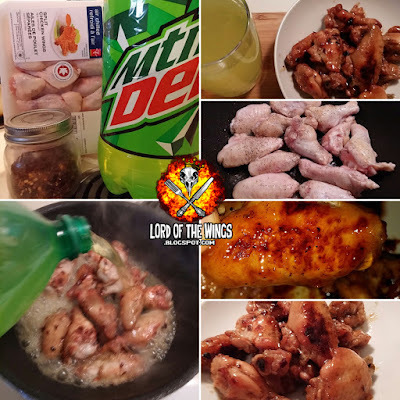 I almost did this but thought I wanted the MD flavour infused through the whole wing. 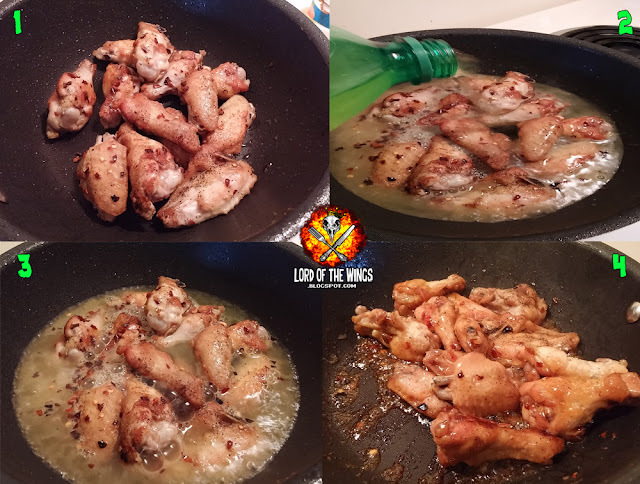 I removed the golden fried wings and removed the excess oil. 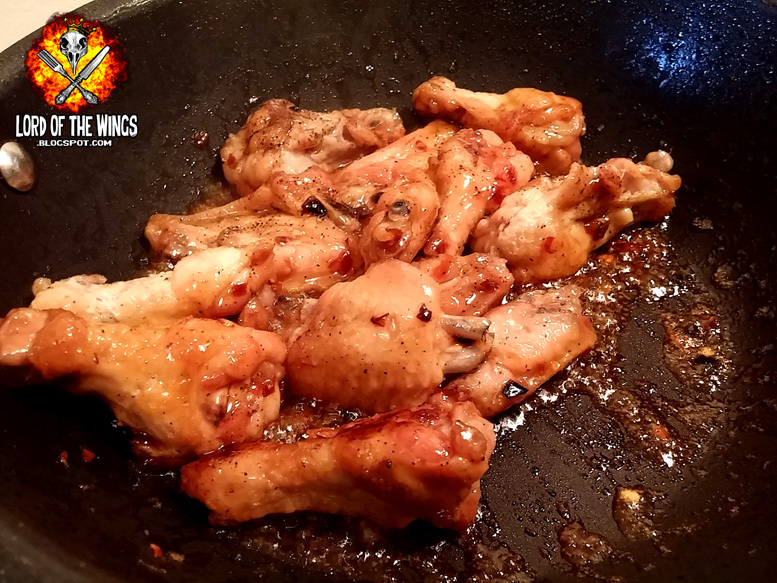 I put the wings back into the hot pan and added some chili flakes. I had to toss them quick so as not to burn the flakes. Next I added enough Mountain Dew to cover them in the pot. It's at this point I need to make it clear, you have to use FULL SUGAR MD, not diet. The key to these wings is the sugar, and diet has fake sugar that won't caramelize like sugar will. After less than 10 minutes I came back to almost all of the pop gone and the gooey sugar sauce. I won't lie, this does not look appetizing. I was really surprised when I opened the lid - the colour was a caramel colour! I was totally expecting that neon green colour of the Dew. Instead, that boiled off quick, leaving just the sugar, which carmalizes as cola would. Who would have thunk it?! I won't lie, I was bummed out that the wings weren't neon green. But that didn't mean they weren't bad looking. 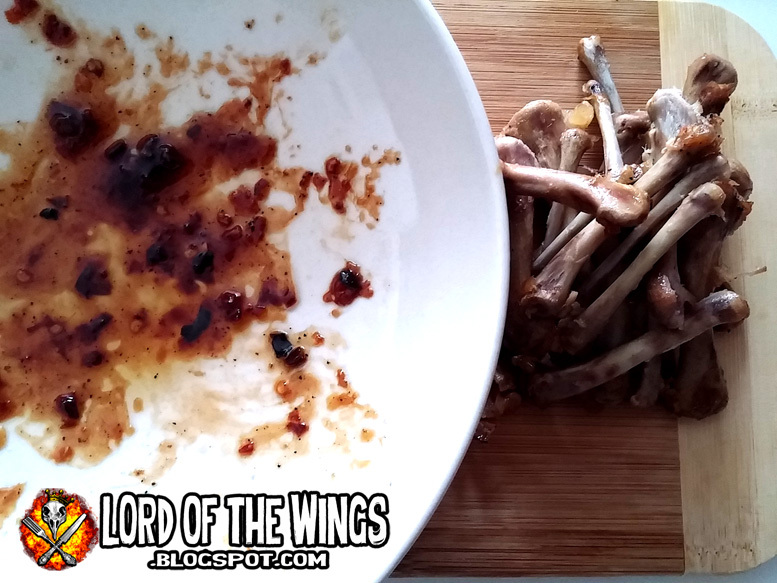 I plated the wings and poured what goo was left over them. I took a bite, expecting a burst of fake-chemical citrus flavour. Again, I was wrong. 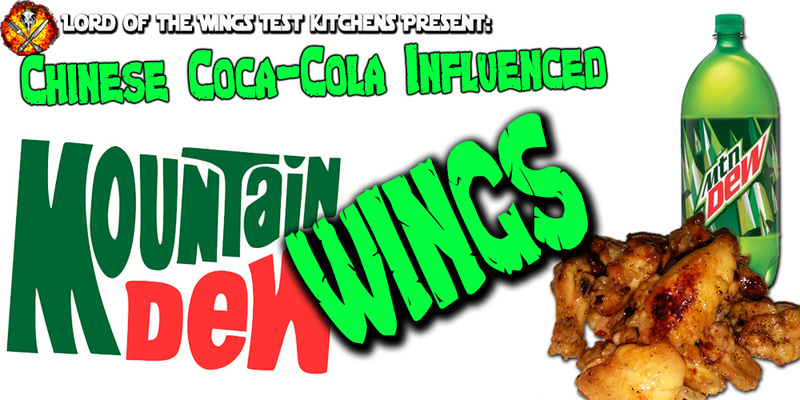 These tasted just like Cola wings! Clearly the citrus essence boiled off with the colour. Does this mean that I could use any soda and it would all end up tasting the same? Orange? Cherry Coke? Grape? The flavour was sugary, but not cloyingly so. The chili flakes added a nice bite that went well with the chicken. The crispy texture of the wings was completely gone. Well maybe not completely; I wouldn't want to NOT fry before this process. 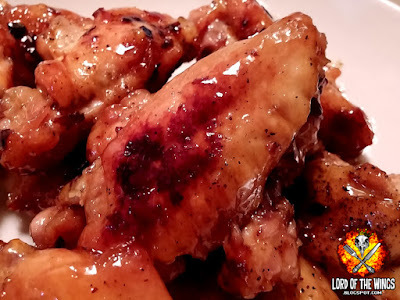 So like last time, these wings are not crispy, but they were super tender. enough that the meat just fell off the bone. What would I do differently next time? I still like the idea of MD wings, but want more of that flavour. 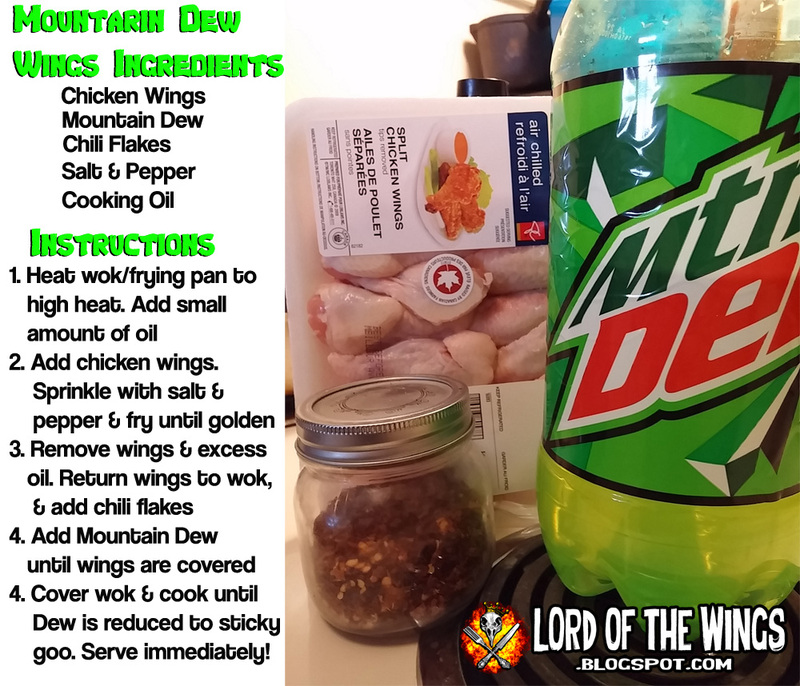 Maybe marinade the wings in Dew to infuse more flavour? Make a sauce that isn't boiling the flavour out, but adding maybe more of a sweet & sour approach? Keep the chili flakes. If I wanted to make this more Chinese flavoured, I would add the traditional garlic, ginger and soy sauce. So I didn't learn all the lessons from the last time, but I did learn more about this process. So feel free to try this recipe yourself and Do the Dew! It was early November and LJ & I were meeting up with her cousin Amanda. We decided to go to the Byward market and try The King Eddy. The King Eddy is what I would call a 'hipster' diner - its open 24 hours and serves diner-type food, but fully embraces an off-retro nostalgia and social media culture. We were there on a Friday night and it was boppin. The crowd was super mixed: parents with kids or babies, business suits, seniors, youthful hipsters ... it was an eclectic crowd for sure. The menu was also pretty eclectic. You've got your burger and all day breakfasts, but they also have a lot of options geared to vegetarians. I found lots of things I would be up for trying, but I also found wings. LJ got the Notorious BLT&E (Bacon/Lettuce/Tomato & Egg) minus the egg and the deep fried pickles. She thought the sandwich was ok but nothing special and that the fried pickles were good. 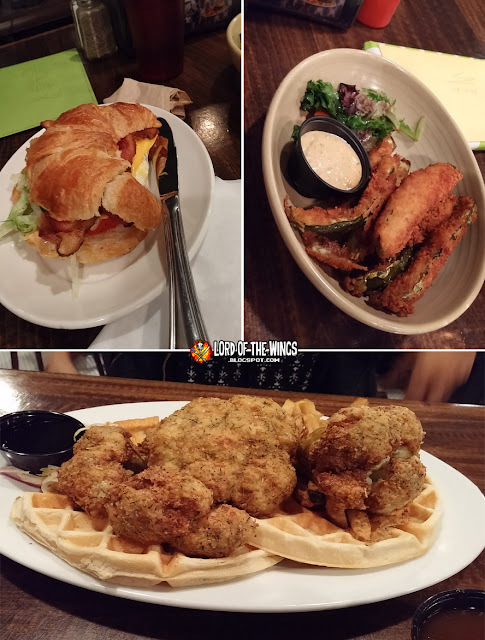 Amanda went with the Northern Fried Cauliflower, which was basically a whole head of breaded and fried cauliflower. She liked the waffles and said the cauliflower was good, but didn't eat a lot of it. 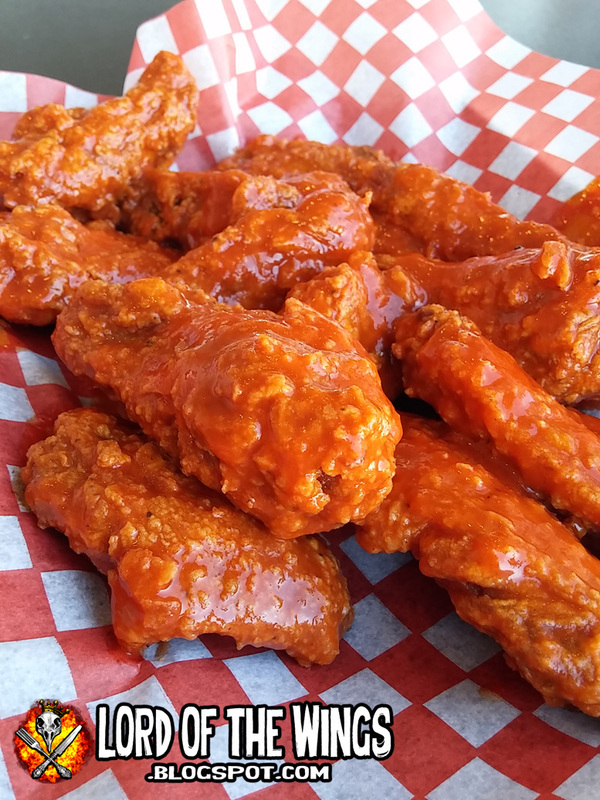 I was going to go for the Friday night wing special, a Beau's Beer & Wings for $12.99, but the waitress warned me that it only came with 4 wings (despite what the menu on the website says), so I just went for a regular order. I was not expecting what came out. "is coated in a mix of matzo meal and flour, which gives it a crust that is worlds away from your typical fried chicken. It's lighter and crisp in a way that brings to mind a cornmeal crust. Using egg whites to adhere the coating to the chicken ensures that the crust stays put, even if your chicken sticks to the bottom of the frying pan. The last bit of atypical preparation is sprinkling the hot chicken with the Bromberg's Fried Chicken Seasoning once it comes out of the fryer. Since the coating isn't seasoned at all, this post-fry application of the Old Bay-like spice mix is where the majority of the flavor comes from. This is something I only just learned writing this post, not known going into eating the chicken. At some point I think the King Eddy must have changed their chicken wing suppliers. 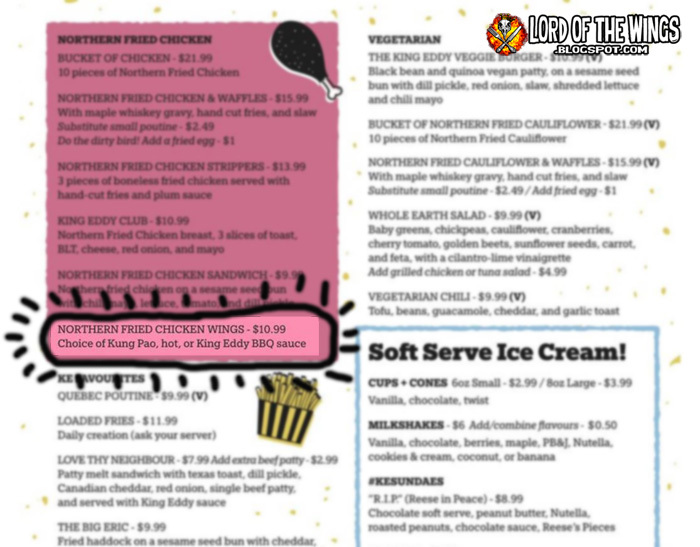 Their website menu says that the wings come in an order of 12, but now it's an order of 8. 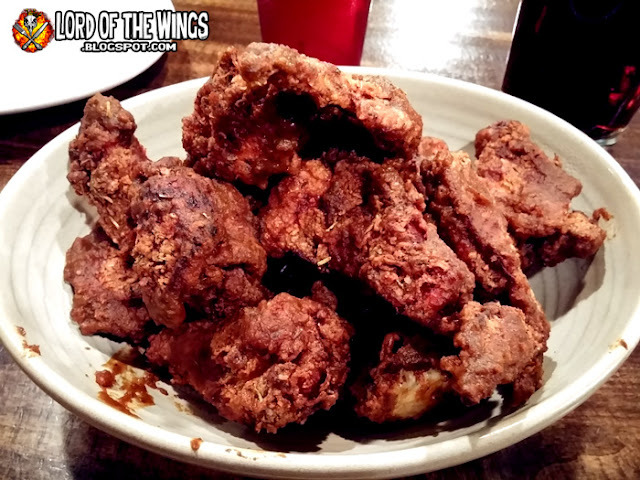 I suspect that the wings are much larger than they used to be - they are large and very meaty. I'll give these wings one major point, they are big. I'm just going to come out and say it - I didn't find the wings hot and I didn't like the taste that much. Now I'm not sure how much came from the Hot sauce or from the Northern Fried part. There was not much sauce, and what there was was absorbed into the skin (which quickly became soggy). So I couldn't really tell where the sauce flavour came in and the seasoned wing did. There were spices in here that to me, do not go with chicken wings. Like an anise or nutmeg type flavour that was herb-y and not to my liking. I got a their BBQ sauce on the side. 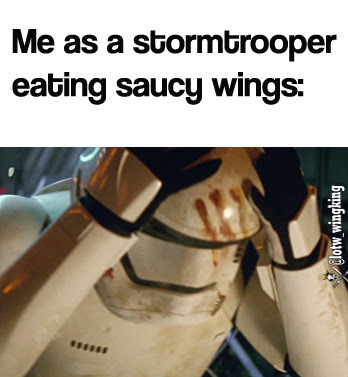 It was sweet and a bit sour and I liked it better than the Hot sauce on the wings, but I don't think I could have eaten an full order of just the BBQ sauce. 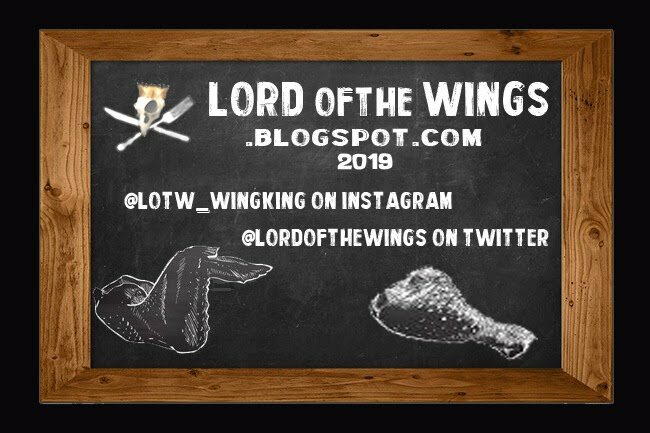 I really missed this place after it closed - It had so many sauce options and it served some good wings and I named it "Best New Wings on the Block" in my Best & Worst of 2007. Can't believe it's been 10 years since I reviewed this place. What's in a name? With a restaurant it can mean everything. And when a place is called 'Crispy's' they had better be crispy. 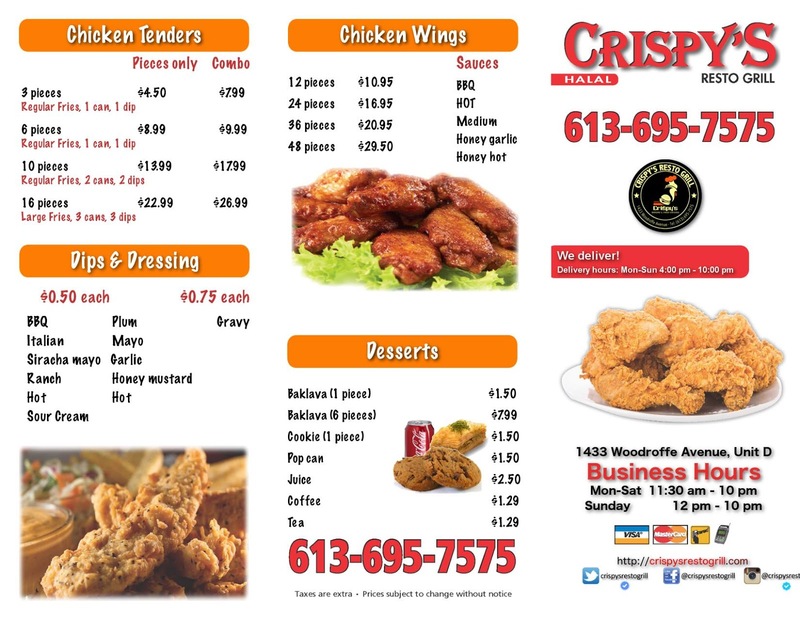 Back in the summer of 2016 before I had moved back to Ottawa, I had heard about a new fried chicken place in the city called Crispy`s. I had stopped in, the place was packed and there were only 2 employees (cashier & cook). 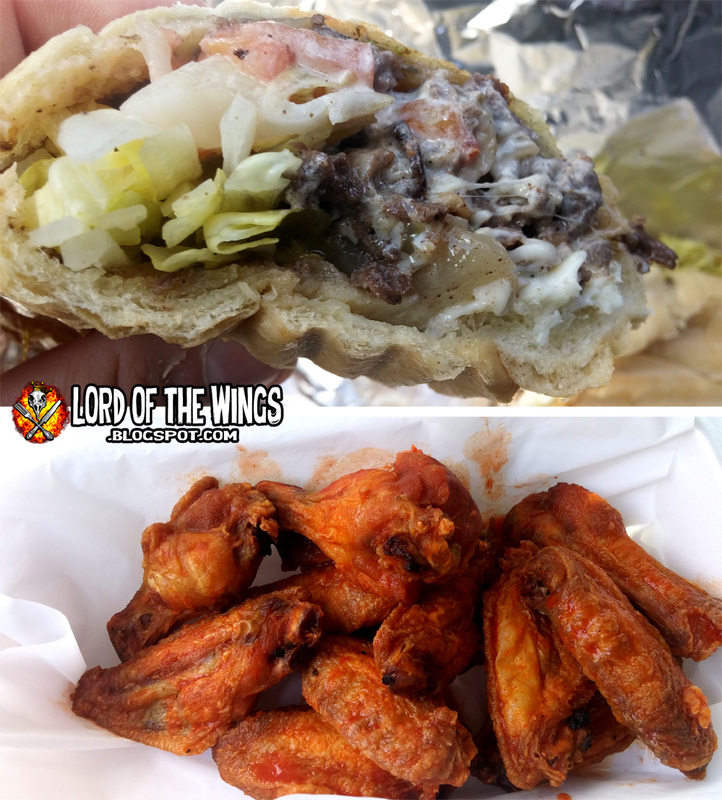 I stared at the menu and while I went for wings, I was also really drawn into their Philly cheese-steak and got both. The cheese-steak was good but not traditional. The meat was cooked well and tasted great, but the sandwich had mushrooms (no thank you) which really ruined things for me. It also came with lettuce and tomato which warmed up and did not go well with the whole thing. I would get it again, just with some revisions. 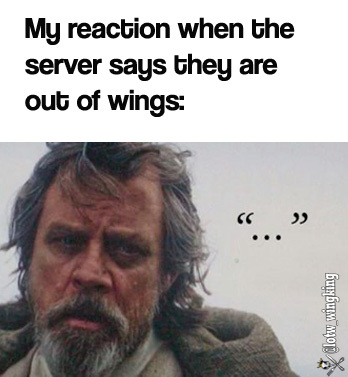 The wings on the other hand, were just ok. 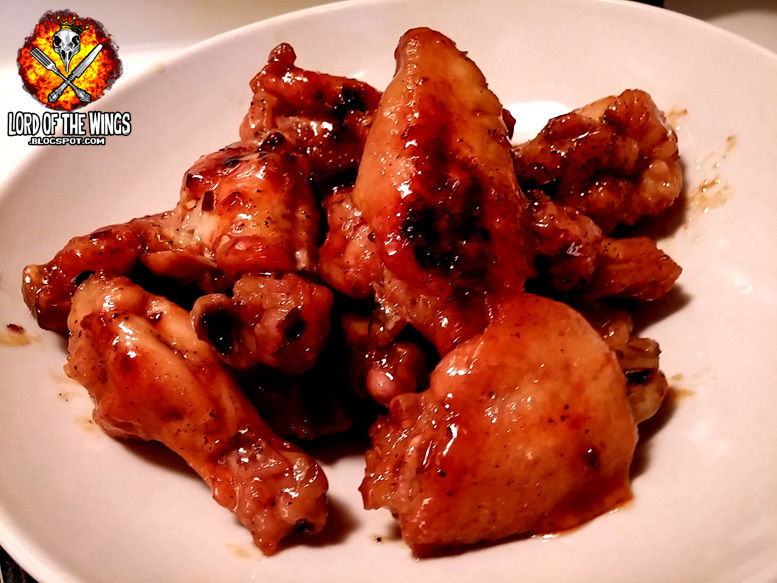 I mean it was just simple wings tossed in Frank`s hot sauce. They weren't even that crispy. The part that had killed me was that I saw others having their fried chicken which looked EXTRA crispy and tasty. 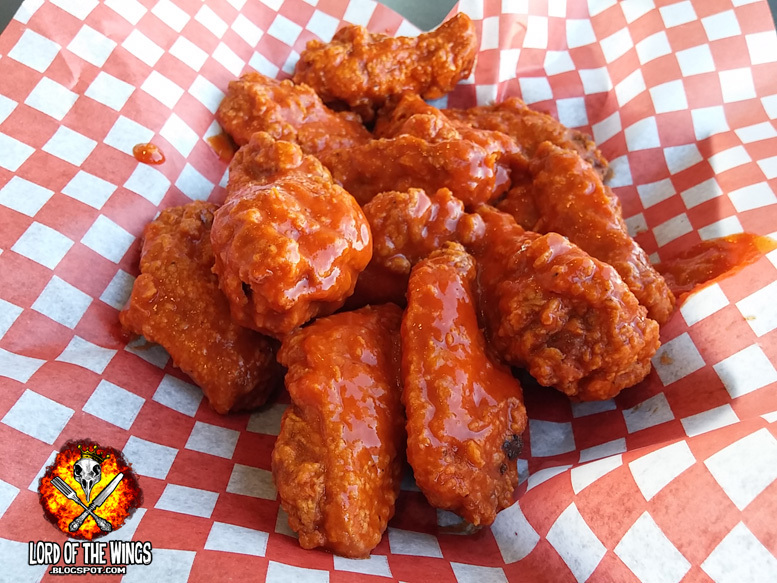 How could these wings be so hum drum? Flash forward to over a year later, and I decided to give them a second chance. 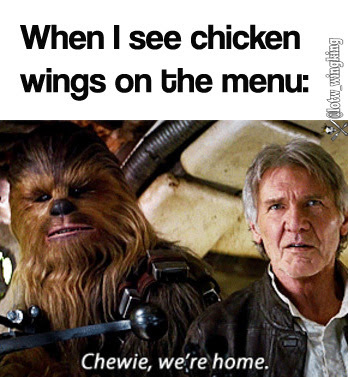 Maybe I would just get some fried chicken and add hot sauce? 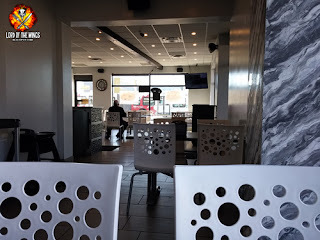 It was lunch and the place was empty except for one other customer. There was only one guy working and he had to do everything - cash & cooking. Crispy's is a mix of take-out joint with a flashy sit down area. Its clean, its nice, but kind of a weird feel - like the owners were trying to make the best of the location. The menu is a screen over the ordering desk, and I scanned the menu and low and behold, the wings had changed! Below is the old menu still listed on their website. What was different? 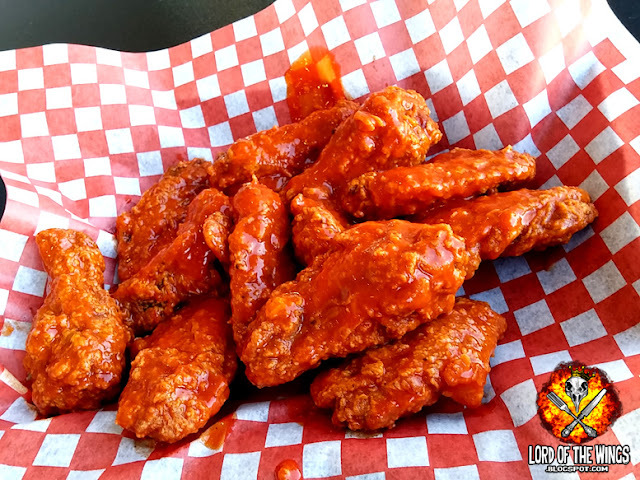 Well they now have a 'crispy' breaded option for their wings, which is about $1 something more (I didn't get a photo because it was super awkward and I forgot quickly). I had a vision of their crispy fried chicken in wing form, so that's what I ordered. When asked how I wanted them sauced, I asked for hot, but asked what their hottest sauce was ... but was told Frank's is the hottest they had. Oh well, Frank's is tasty. I had to wait about 10 minutes for my wings to be freshly fried, and before long, my order was up. 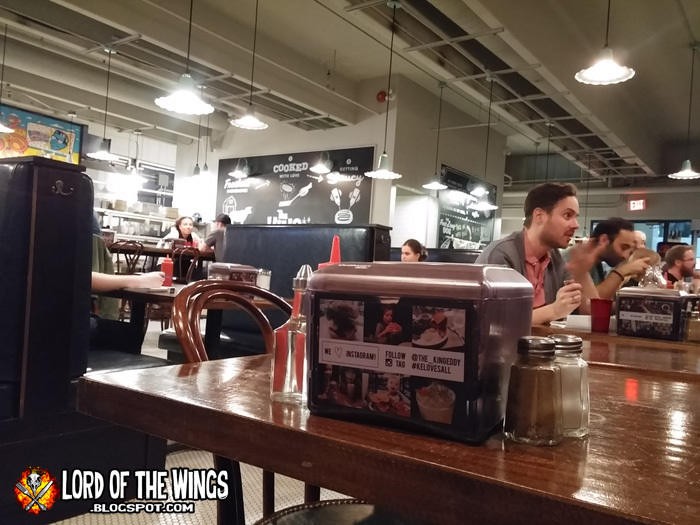 I went up to the counter and was pretty stoked to see this pile of wings. I went with their smallest order, which is 12 wings. The wings are deep fried, and in my case they are breaded in a crunchy coating. This meant the skin was extra crispy, but also let each wing grab onto the sauce. The wings weren't big in the length department, but they weren't small either. They were pretty meaty for their size, and were cooked just right. 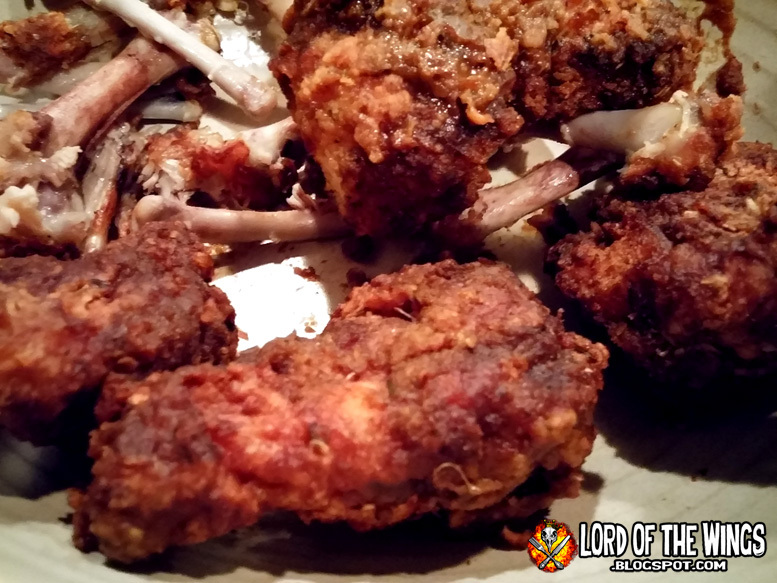 The hot chicken meat was tender, and the meat came off the bone pretty easily. Sauce wise we were dealing with just straight up Frank's Red Hot. I'm not going to lie, that was more than just ok. First, the wings looked RIGHTEOUS. There was a perfect amount of sauce to coat the wings. The heat, well I actually found some of them spicy. I mean, what? Frank's is like, baseline. Maybe I was tricking myself psychologically. 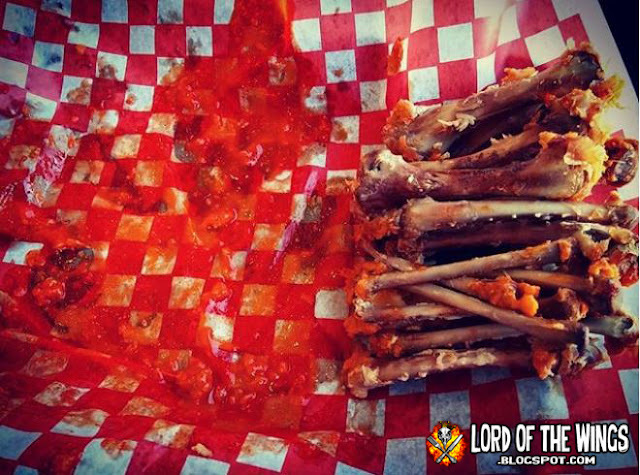 Either way, these wings were just delicious. Bomb Wings on "Dr Ken"
Flipping through channels, I came across a show called "Dr Ken" starring Ken Jeong. I have never seen this show before, and it has Dave Foley and this particular episode Rhys Darby. I didn't watch the whole episode, but I did come across this scene with the daughter (?) Molly making chicken wings for a guy she likes (?) ... I don't know I didn't follow the whole episode. The important thing is that they were eating wings ... from a fake recipe from the real show "Martha & Snoop's Potluck Party". This is a show I have seen once or twice and it is ridiculous - I don't know how these two became friends, but it makes for some weird TV. Have you seen either of these shows? Did you think the wings on Dr Ken looked tiny? What flavour would they? 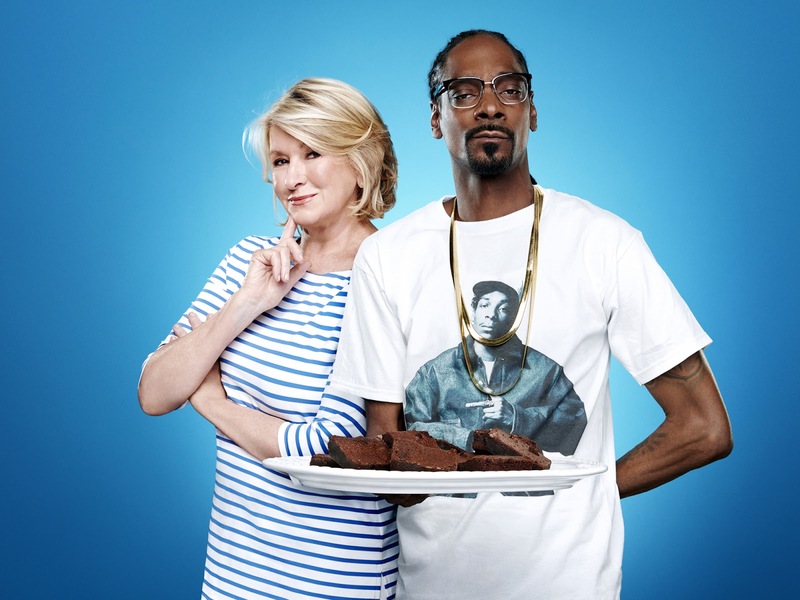 What kind of wings would Snoop & Martha make? PS: Molly, wings were the right way to go, not hot dogs. With Star Wars Episode VIII: The Last Jedi coming out this Friday (and I'm super excited!!!) 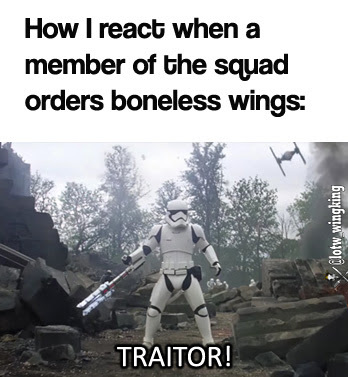 I decided to pay tribute by making my Monday wing memes into Star Wars chicken wing memes. Enjoy. 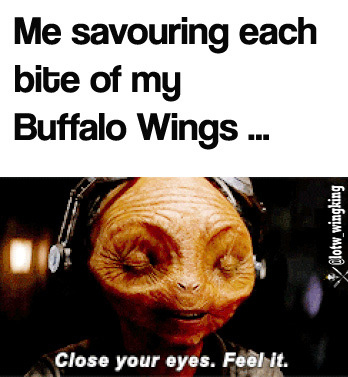 Buffalo wing sauce is like the Force: "It surrounds us and penetrates us; it binds the galaxy together"
Nothing will stand in my way of finishing wings. 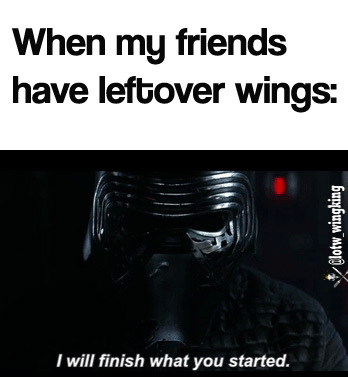 No wing will go uneaten. She clearly has no idea who she is dealing with. 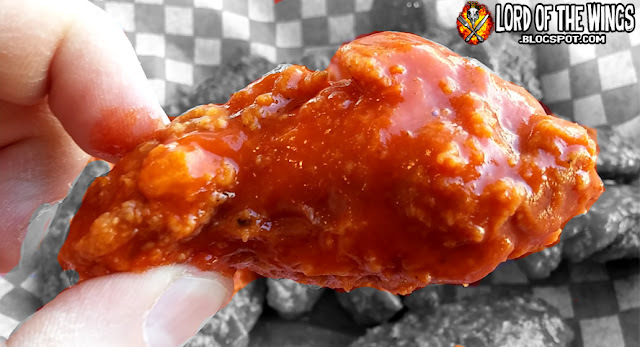 Why get fingers when you could have wings? 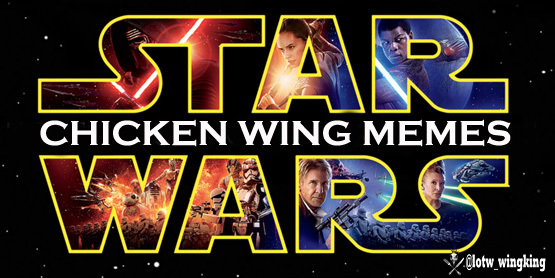 May the wing be with you! 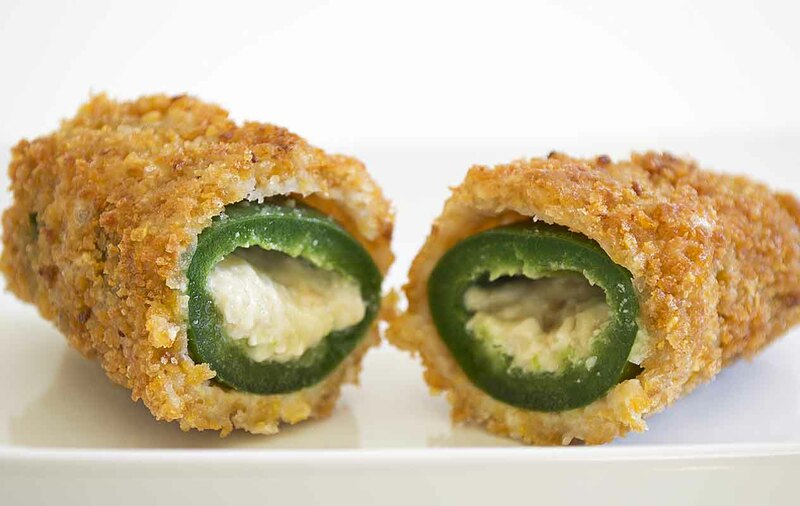 Bacon wrapped jalapenos stuffed with 3 cheeses. Let that sink in for a moment. This has been a go to for me at many parties, catered events or dinner parties. I even completely burned the bacon by accident at one dinner party and people still scarfed them down. You can bake them or do them on the BBQ. Here they were baked in the oven. They are basting in the overflow of melted cheese and bacon grease. So good. These were lovingly made by my wife and mother under my instruction as I was focusing on making wings. If anything, what I made is an ATB (Atomic Buffalo Turd). Thoughts on this? What do you call it? What is the naming history here? Nibble Me This . . .